Since we started on our mission in 1889, the threats to nature have continued to grow, but we have grown to meet them too. We’re now the largest nature conservation charity in the country, consistently delivering successful conservation, forging powerful new partnerships with other organisations and inspiring others to stand up and give nature the home it deserves. This dataset contains casual sightings of capercaillie from a variety of observers throughout the year. Most of the records are from 1989 onwards. Casual sightings of signs during the National Surveys are recorded here but the records of bird seen during these surveys are found in separate National Survey datasets. This dataset contains the raw data of bird records from standard early morning lek surveys between late April and early May. Leks are surveyed using standard methodology and are usually either viewed from a hide or a vehicle. Some sites require walking to look for signs on the ground (this is done after 07:00am to prevent disturbance at crucial time). This dataset contains records of capercaillie hens and their broods. RSPB and SNH agree a list of woodlands to be surveyed each year. These surveys take place between June ñ August using pointer dogs to locate hens with broods in order to monitor productivity. The dataset also contains data on broodless hens and males found during these systematic brood counts. This dataset contains the minimum number of males/lek/year summarised from standard early morning lek surveys between late April and early May. Leks are surveyed using standard methodology and are usually either viewed from a hide or a vehicle. Some sites require walking to look for signs on the ground (this is done after 07:00am to prevent disturbance at crucial time). The UK population of black grouse declined by 22% between the national surveys in 1995/6 and 2005. To establish core areas for recovery in the north of Scotland, black grouse strongholds have been surveyed for lekking males. These surveys attempted to fill in gaps left by previous, recent surveys. To establish core areas for recovery in the north of Scotland, black grouse strongholds have been surveyed for lekking males. This dataset contains lekking males recorded in surveys undertaken in 2002, 2008 and 2009. This dataset contains the first to fourth surveys of Capercaillie <i>Tetrao urogallus</i> in Britain, carried out under the Statutory Conservation Agencies/RSPB Annual Breeding Birds Scheme (SCARABBS). Annual survey of corn buntings on the Western Isles comprising full coverage of Berneray, Baleshare, Vallay, North Uist, Benbecula, South Uist, Barra and Vatersay. A systematic regional survey of farmland birds within and around the Bettisfield and Dee Estuary (Welsh side) areas undertaken in 2008. The survey aimed to establish whether corn bunting were still breeding in Wales and to gather information on farmland bird populations in this area. 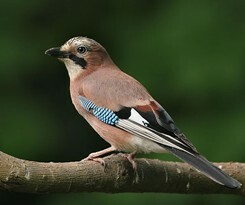 This datasets contains records of birds breeding on RSPB reserves in the UK. The key breeding bird interest of each reserve is identified and monitored annually, as it would be too time consuming to survey every breeding species on each site. The boundaries of RSPB reserves are provided on the NBN in the geographical dataset <b>RSPB Nature Reserves in the UK</b>. This is the first survey of spotted crakes <i>Porzana porzana</i> undertaken in Britain. English Nature (now Natural England) funded this survey as part of the Statutory Conservation Agencies RSPB Annual Breeding Birds Scheme (SCARABBS). Thanks are due to all County Bird Recorders, the Rare Breeding Birds Panel, and all those who took part in this survey. This dataset contains sightings of Turtle Dove from a research project carried out by RSPB conservation scientists to investigate the factors affecting Turtle Dove productivity. Records are given at 1km resolution and do not give full coverage of Turtle Doves in the region. Six species of breeding wader (dunlin, oystercatcher, snipe, redshank, ringed plover and lapwing) were counted in a survey organised jointly by the RSPB and the British Trust for Ornithology (BTO).